Try imagining for a second how it'd feel to lose your eyesight. It's almost unimaginable because your vision is perhaps the most valuable tool for survival. This is why we need to constantly protect our eyes and learn what could potentially ail them. Below is a list of five common illnesses that plague the precious eyes of people around the globe. Glaucoma is damage to the optic nerve, often caused by elevated intraocular pressure. It results from excessive production of aqueous humor or diminished ocular fluid outflow. Glaucoma is a leading cause of blindness, secondary to optic nerve damage. As of yet, there is no cure. Everyone is at risk, and there may be no warning signs. It is six to eight times more common in African Americans than in whites. The best and most effective way to detect glaucoma is to receive a dilated eye examination. Astigmatism is the most common vision problem. It may accompany nearsightedness or farsightedness. It is usually caused by an irregularly shaped cornea, but sometimes it is the result of an irregularly shaped lens. Either type can be corrected by eyeglasses, contact lenses, or refractive surgery. A cataract is a clouding of the eyes’ natural lens. As we age, some clouding of the lens may occur. The first sign of a cataract is usually blurry vision. Although glasses and other visual aids may at first help a person with cataracts, surgery may become inevitable. Cataract surgery is very successful in restoring vision, and it is the most frequently performed surgery in the United States. Pink eye is a term that refers to conjunctivitis, which is inflammation of the thin, clear membrane (conjunctiva) over the white part of the eye (sclera). It may be triggered by a virus, bacteria, or foreign body in the eye. 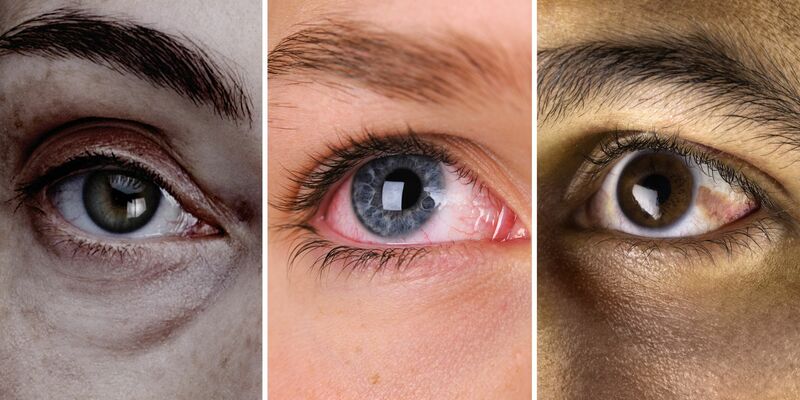 Antibiotic eye drops alleviate bacterial conjunctivitis, and antihistamine allergy pills or eye drops help control allergic conjunctivitis symptoms. People who have myopia, or nearsightedness, are not able to see objects at a distance but only up close. It occurs when the cornea is either curved too steeply, the eye is too long, or both. This condition is progressive and worsens with time. More than 100 million people in the United States are nearsighted, but only 20% of those are born with the condition. Diet, eye exercise, drug therapy, and corrective lenses can all help manage nearsightedness.